When Lee Child first introduced Jack Reacher, I, along with so many, enjoyed each novel and anxiously waited for the next one to arrive. Reacher was a character that stood for what was right and no matter in what situation he found himself, he triumphed. His handling of each situation was believable and the novels were fun to read. The last few have become formulaic and somewhat unbelievable. Child, like Louis L’Amour, has written one story over and over. In Make Me, I knew what was going to happen before I cracked open the book and in that regard was not let down. But unlike, L’Amour, Child treats readers as if we have an IQ of 60. 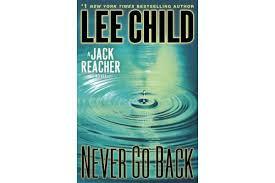 For that reason alone, this will be my last Reacher novel. But as if that was not enough, I have a few more. Reacher was career military and, while intelligent, we are to believe that he would say this in describing how another character was shaking hands: “Deferential, but not obsequious.” The irony of this statement is that “obsequious” was removed from college SAT exams as one of the obscure words they wanted to drop. It is hard to imagine anyone using this phrase and Reacher’s use jarred me out of the story.. Maybe Child stuck it in as a tribute to columnist Eric Zorn of the Chicago Tribune who defended its use in the SATs. In describing the characters in the town of Mother’s Rest, Child takes a full paragraph to tell us how old one of them is, without telling us how old he is. This paragraph reads like a nonsense riddle and the next sentence states, “He got straight to the point.” This could have been meant as humor but just seemed stupid. Throughout the book Child uses repetition as a device to illuminate the story. This worked some of the time but got old after the first three. How many times do we need to know that the town has “a store that did Western Union and Money-Gram and faxing and photocopying and FedEx and UPS and DHL. I guess if you need word count this device works as well as any. The biggest flaw is one that Child even points out. 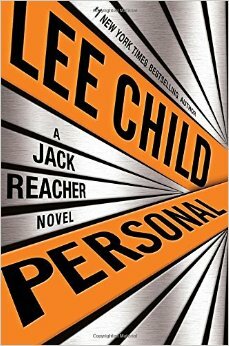 When the man who has been told to get rid of Reacher and Chang confronts them, he doesn’t kill them right off. Instead, we have an improbable encounter in a foyer where, naturally, Reacher disarms the guy. If this wasn’t bad enough, Child later describes how “in tall tales told by firelight” there is a conversation between the good guy and bad guy but this is the real world. Then Reacher simply shoots the bad guy, no words exchanged. We are left to believe Reacher is the only smart one. This idiocy is repeated when three more bad guys are sent to take Reacher and Chang out. Instead of killing everybody, there is a discussion of who to kill which, again, gives Reacher the chance to kill them. In reading this scene, I had to laugh as six foot five Reacher shoots over the heads of everyone else to kill the three bad guys. I don’t think Tom Cruise will be making this into a movie. This one gets one star and will be my last Lee Child novel. As for the next Reacher movie, I may go see it, after all, I do enjoy a good comedy. Really! Either the author or the publisher decided when describing Jack Reacher to put his height and weight in italics. Somebody is embarrassed about Tom Cruise portraying Jack and is trying to re-establish the character as a force to be dealt with. After all, if Tom Cruise walked into a room would you be scared or laugh? This isn’t Lee’s best, nor his worst Reacher novel. Maybe close to his worst, Worth Dying For. The plot is thin, the descriptions are too much like a travelogue, and the ending was not much of a surprise. Actually, the ending stretched believability by about six feet five inches. For some reason, as I have seen in books by other authors, Lee Child referred to one of the main characters, Casey Nice, by both names over and over again, as if readers might forget it. One reason this was an issue is the book is written in first person and Jack Reacher would not have kept using both of her names. Send up the flares!! 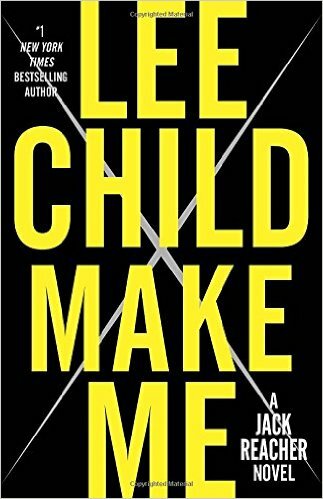 Lee Child is back to writing a good book again. The last two Reacher novels had me wondering if Child had hit his prime and was getting lazy. 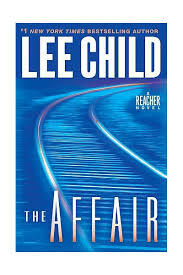 The Affair re-establishes him as a true story teller and he gives us the Reacher we have come to expect. Always one step ahead and able to handle any situation, without being unbelievable, Reacher comes through as we would want him to. Except for some repetition and overly chauvinistic comments, this is one of Child’s best. Let’s hope he continues to stay on track. As many of the other reviewers have said, this book is a disappointment. The writing is lazy, repetitive, and simplistic. It is written as if the reader needs every detail explained laboriously. Child has also fallen into the formula trap, his last few books are simply the same basic story over and over. Reacher gets caught up in a situation, he has to flex his muscles to intimidate, and in the end, miraculously escapes after killing the bad guys. Fans deserve better, and as someone else has said by agreeing to have Tom Cruise play Reacher it is all about “show me the money”!! First I have to agree with some others who were duped by the name Lee Child. Bought this just on his name alone. Once I realized it is a collaborative effort I was intrigued. If you want an inkling into authors you haven’t read, this could be a starting point. Also, the idea of using this as a fund raiser for Safe Horizon is very clever. That being said, the actual story was boring, repetitive, and without any surprises. For some reason a few of the authors in writing their chapter felt it necessary to recap the story, as a reader I found this a bit insulting. One of my favorite authors, John Connolly, participated in the writing and his chapter is heads above the rest in style. At least one bright spot in a rather simplistic novel. So maybe my review title should have been “Buyer Beware”. First the good news, Lee Child starts the book by reminding us who Jack Reacher is: 6’5″, about 240 pounds. Which helps to erase the image of Tom Cruise. The bad news is that the story line stretches the lines of plausibility. I am thinking of the fight in an airplane bathroom, (no spoiler here, any reader will see it coming), but me being 5″11″ and 165 pounds, I have a hard time maneuvering in such a small space and can’t imagine this fight scene happening. The writing is repetitive but the pace almost makes up for it. Took about three hours to read. The ending was telegraphed a little too soon but not sure how else it could have been done and made sense. Child did capture the emotion of what it might feel like to think you have a daughter you have never seen. Reacher fans will agree this isn’t Child’s best nor his worst. Maybe his next will be an improvement more like his earlier works. Maybe he should go back.